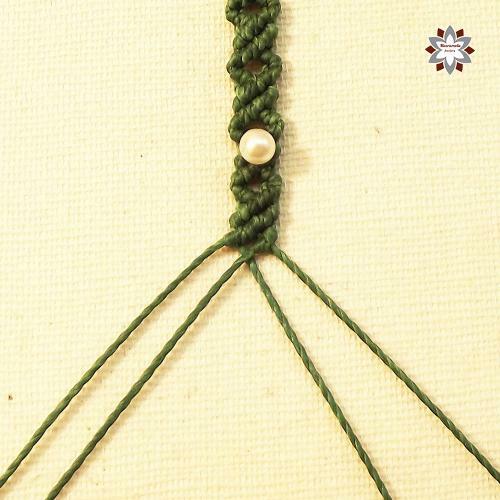 In some of the macrame pieces it is useful to get corners. 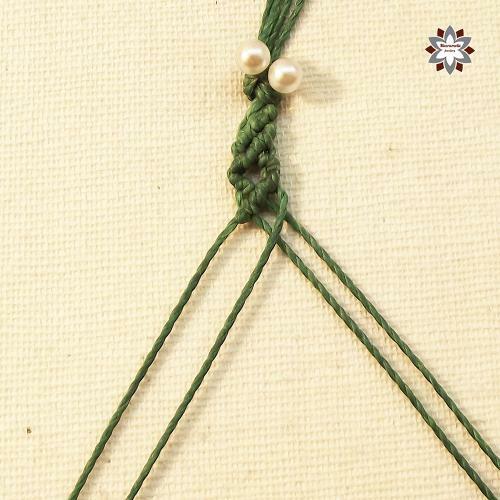 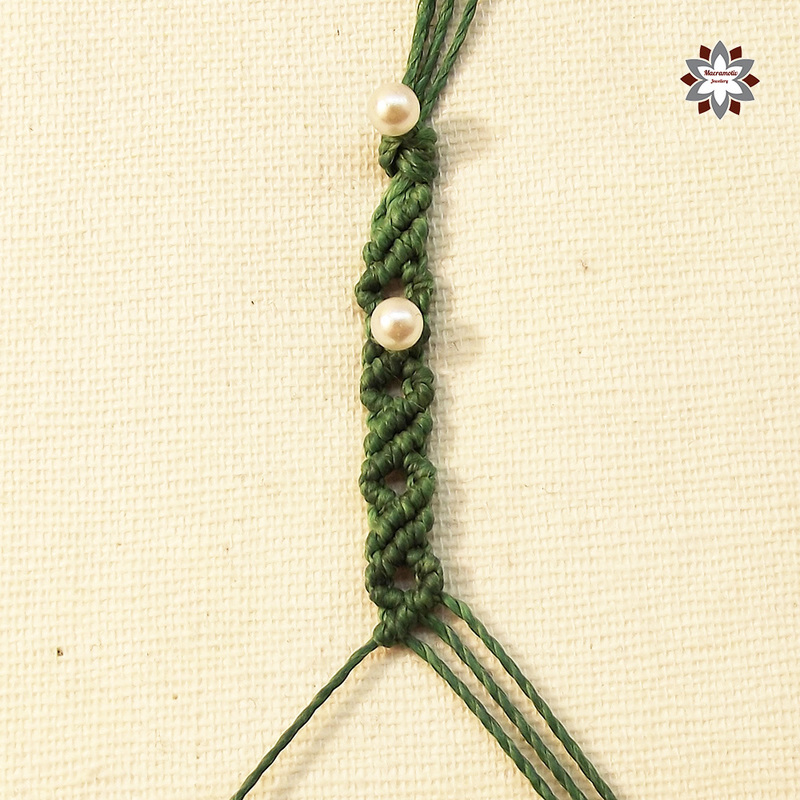 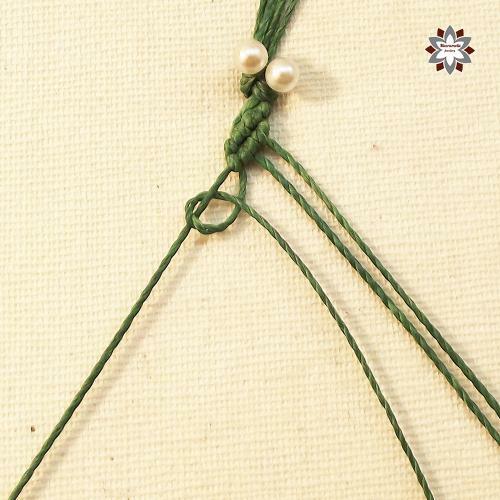 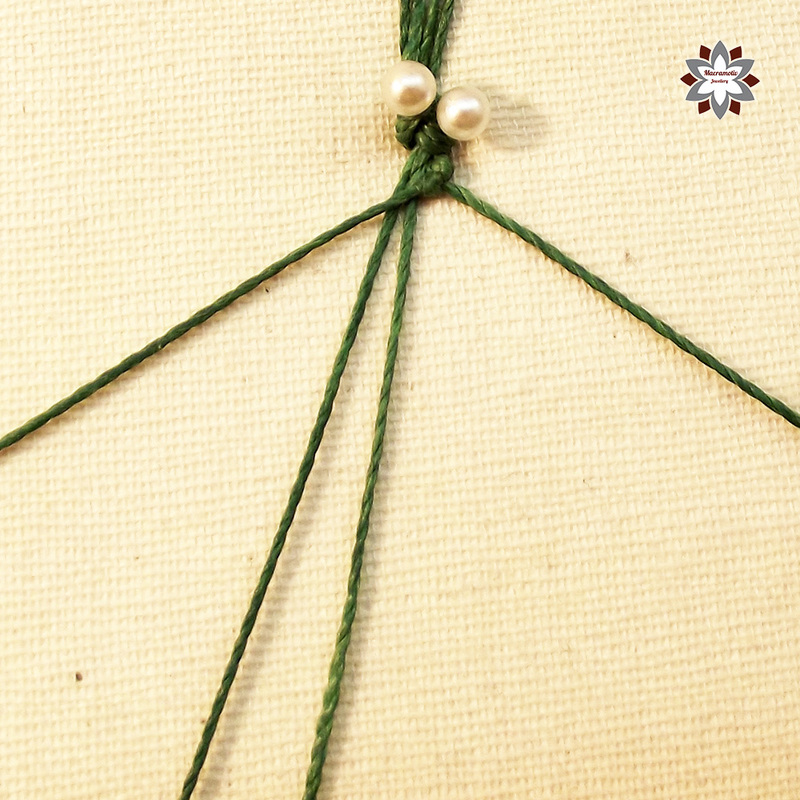 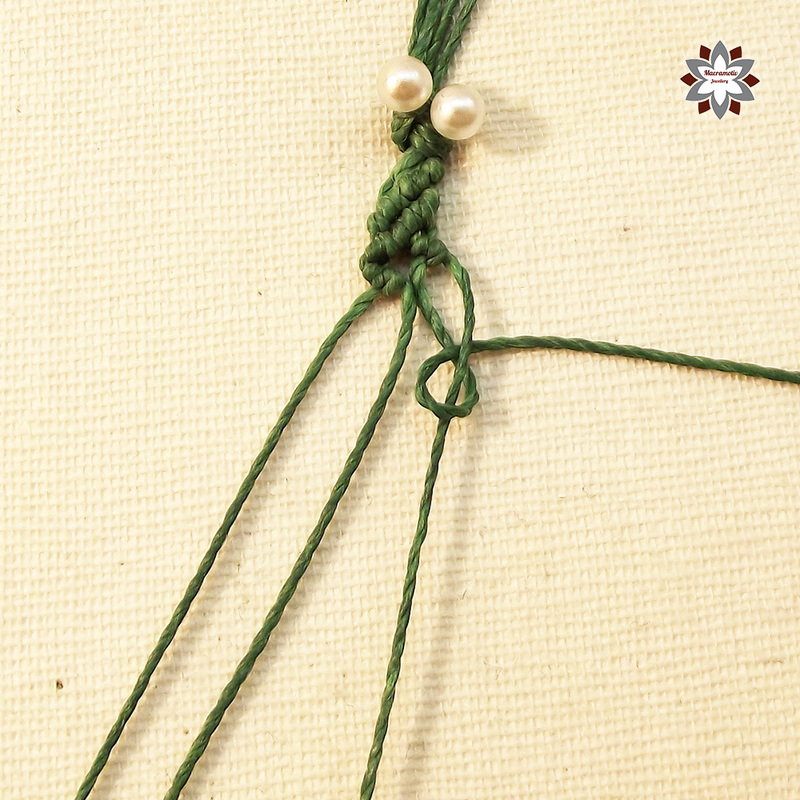 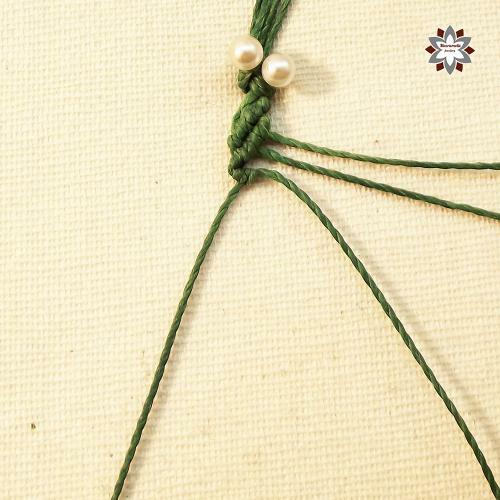 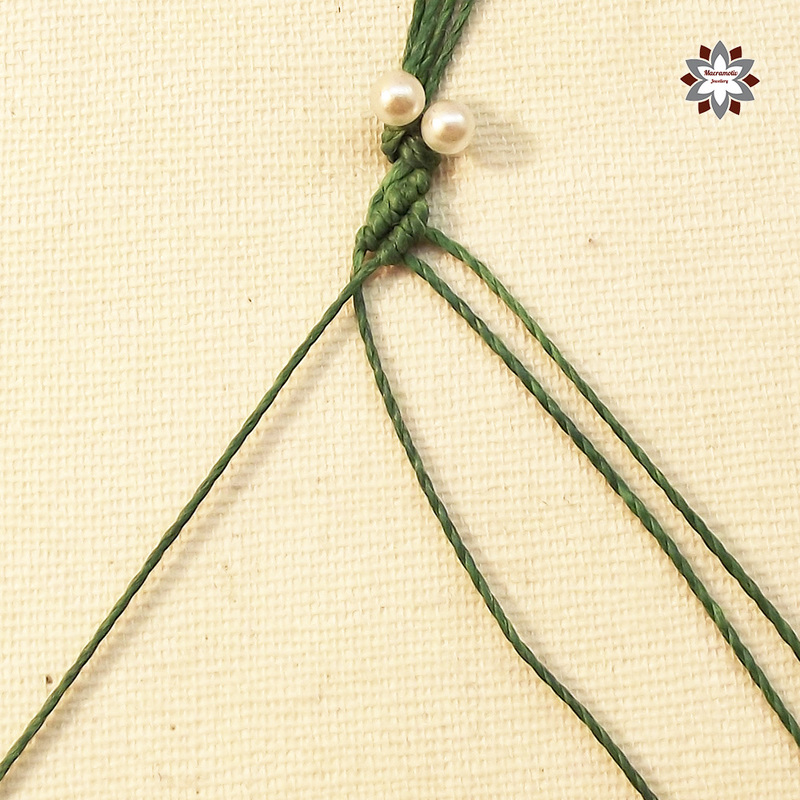 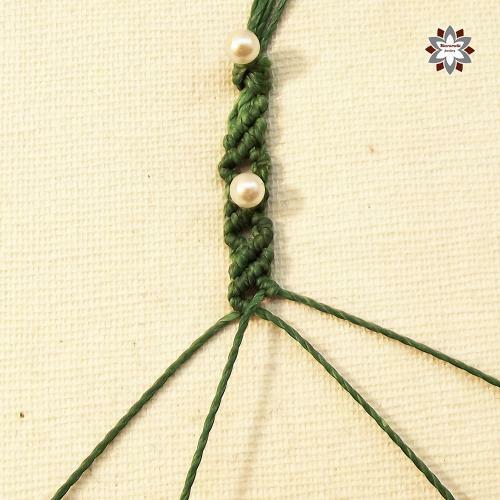 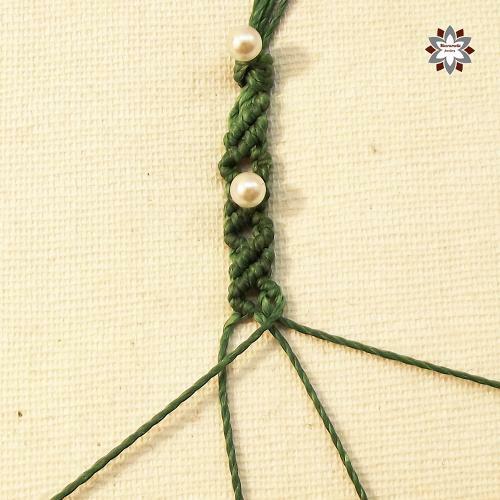 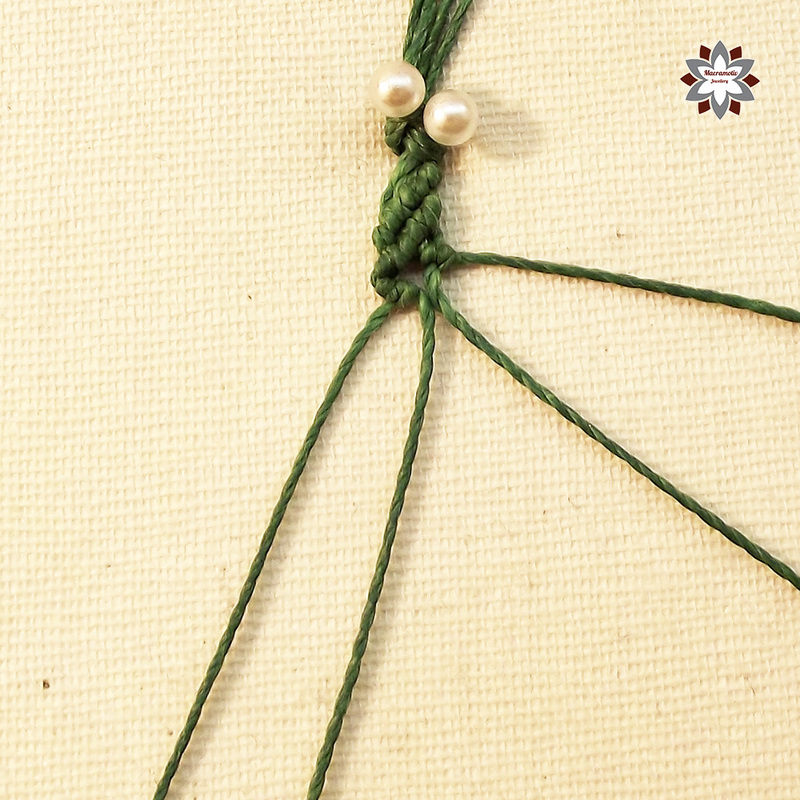 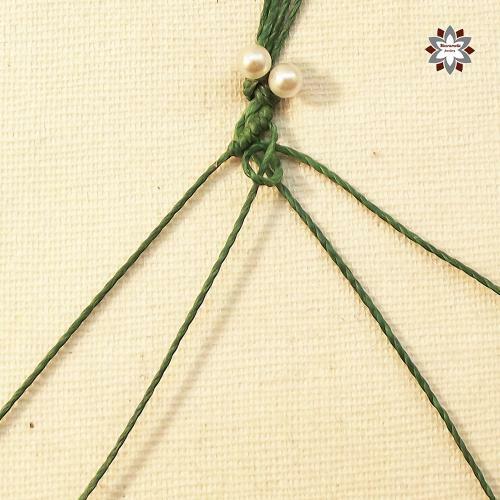 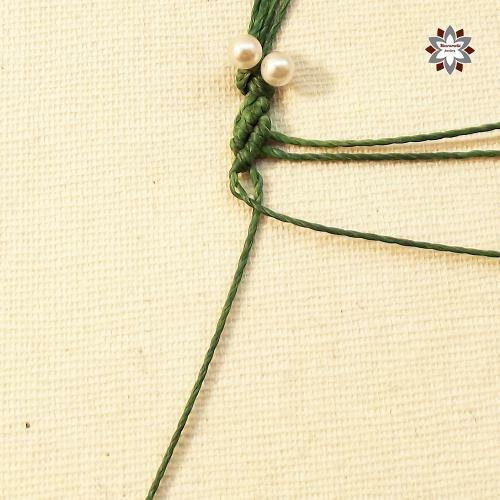 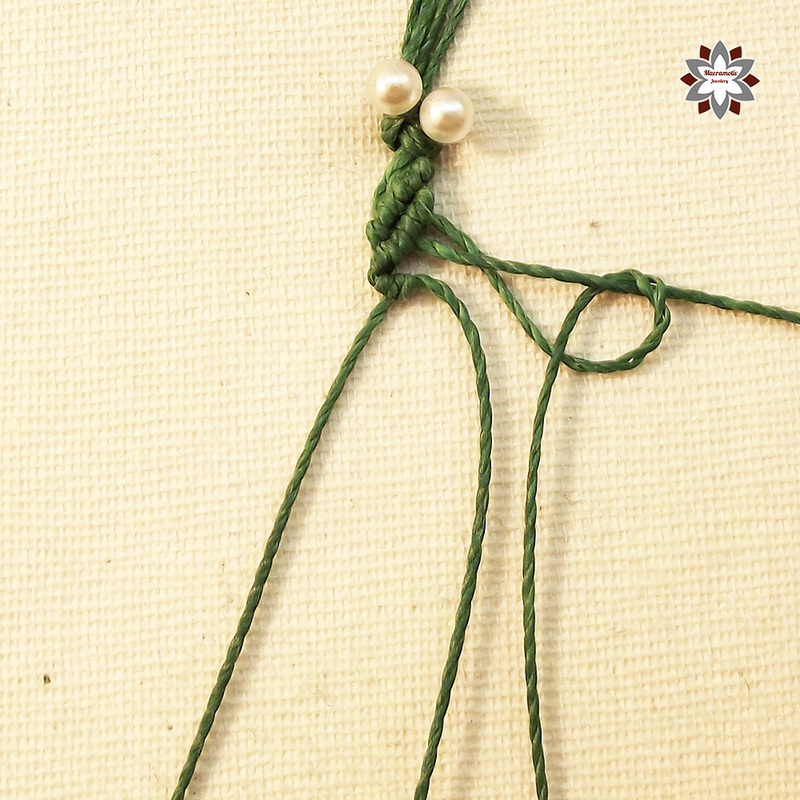 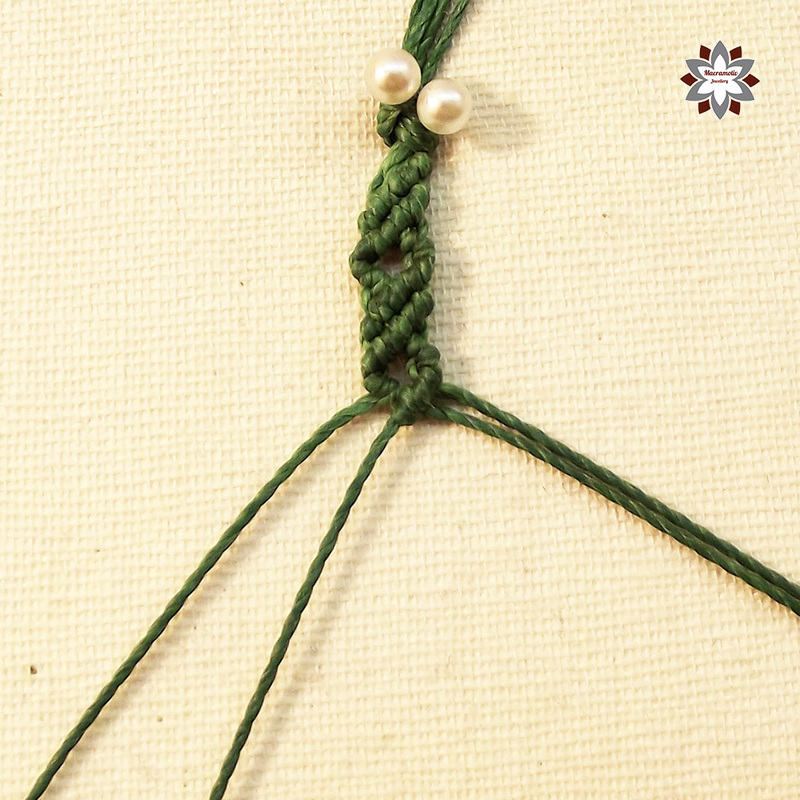 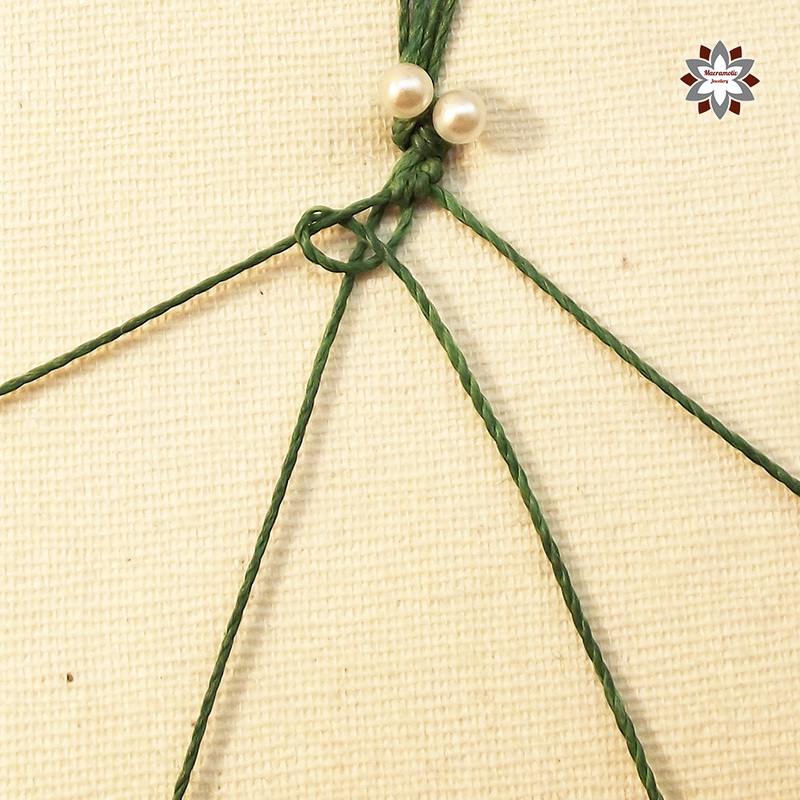 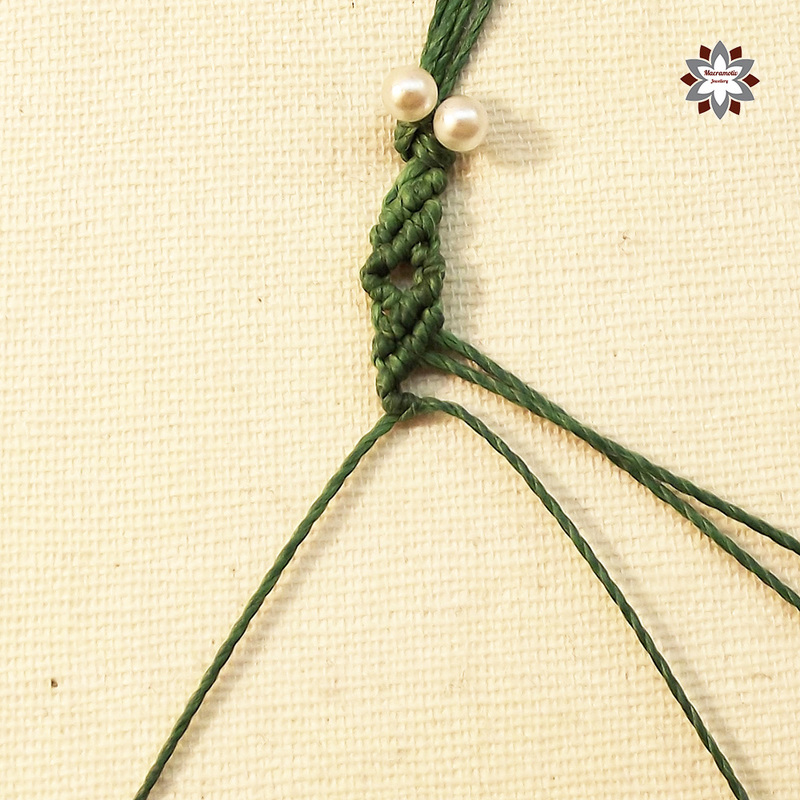 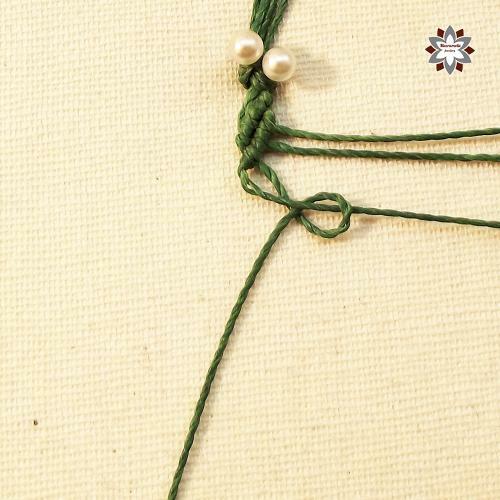 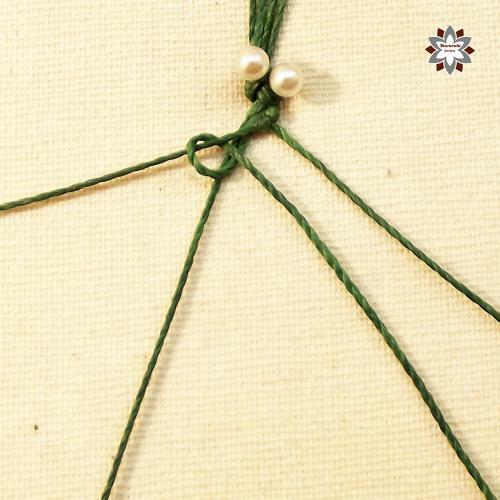 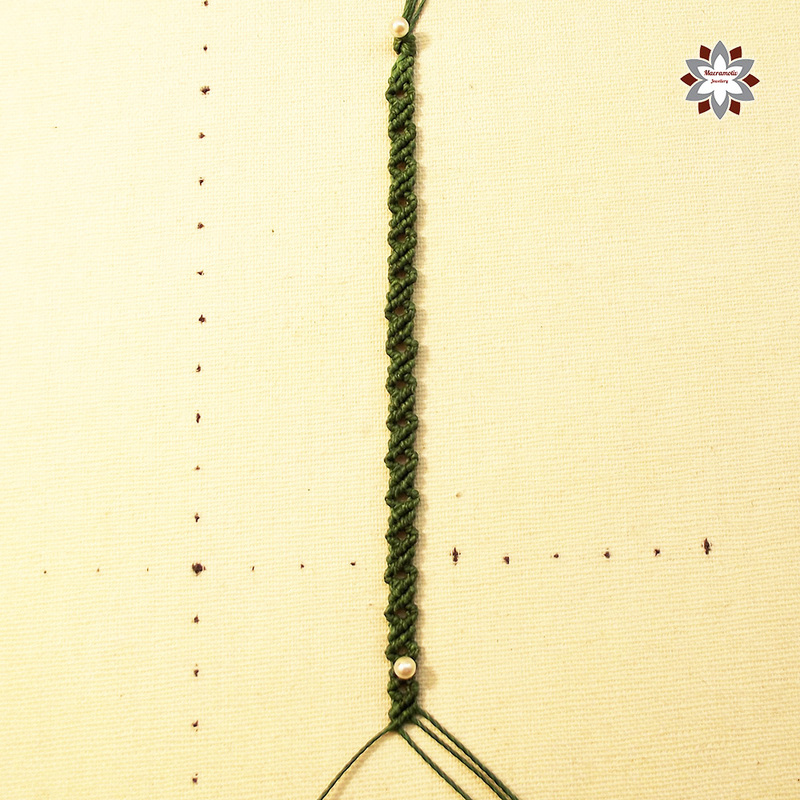 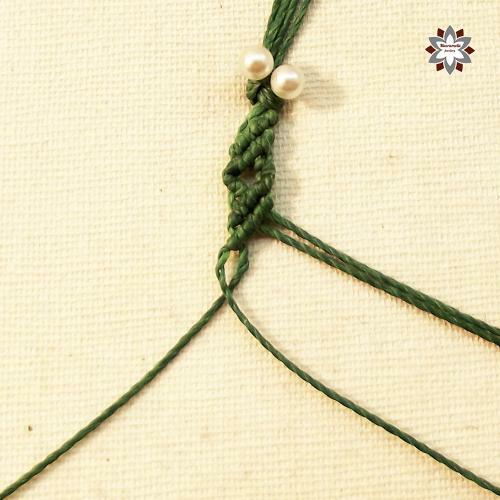 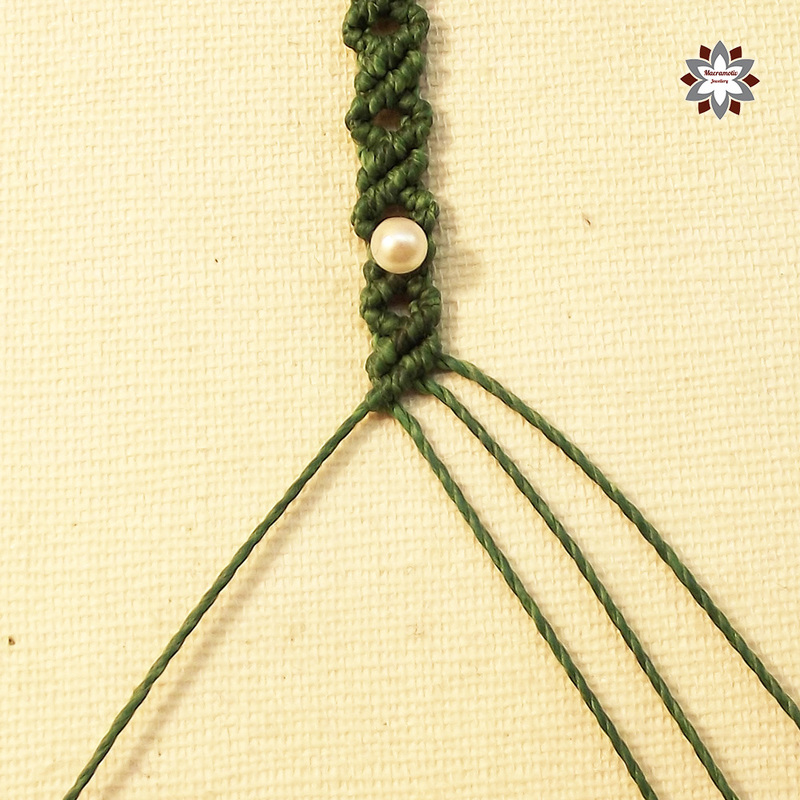 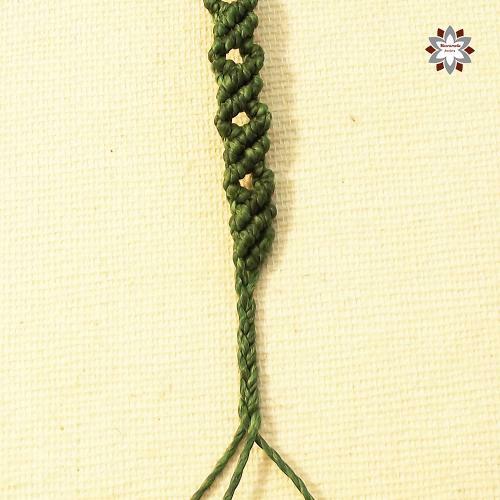 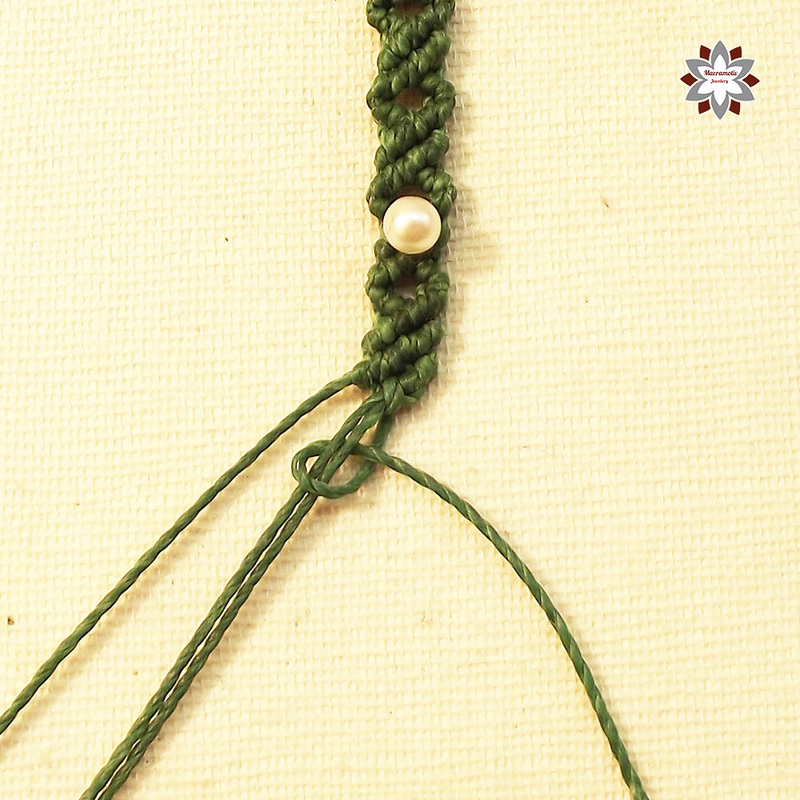 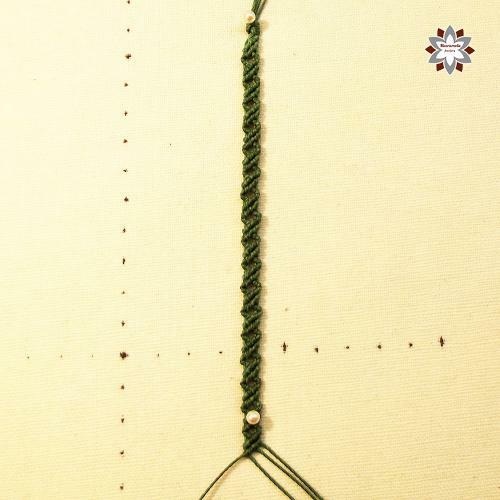 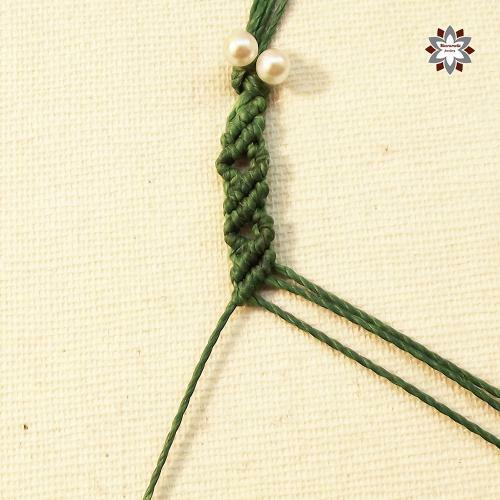 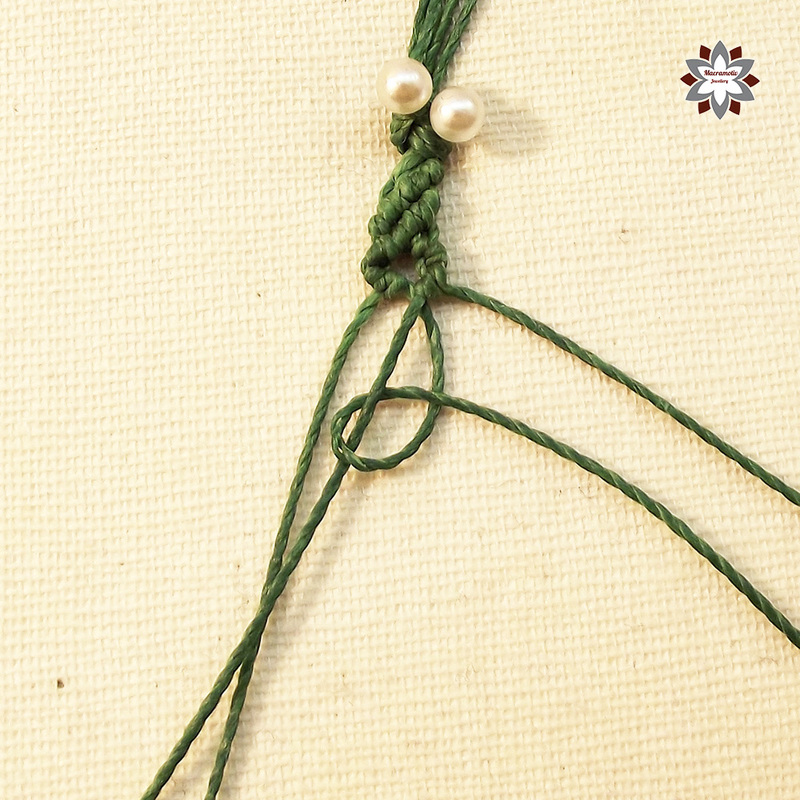 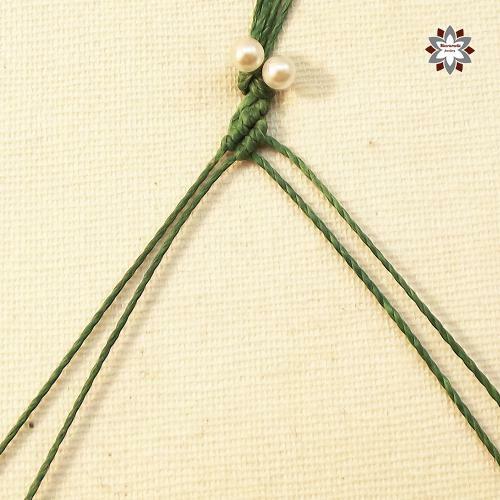 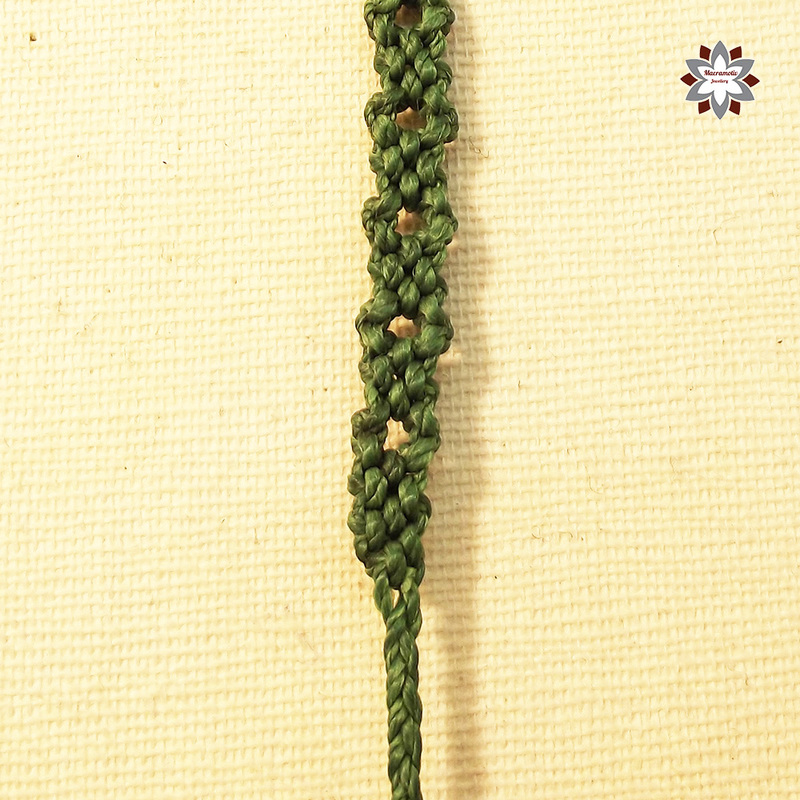 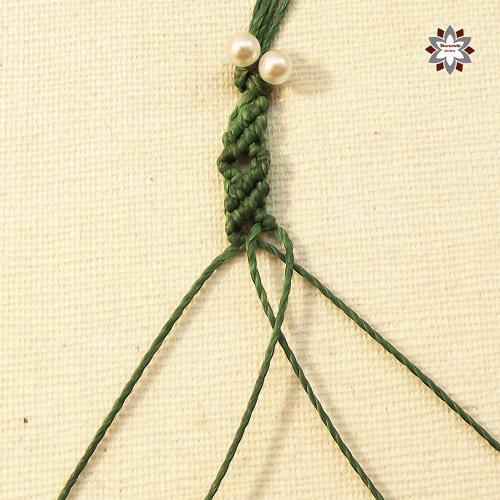 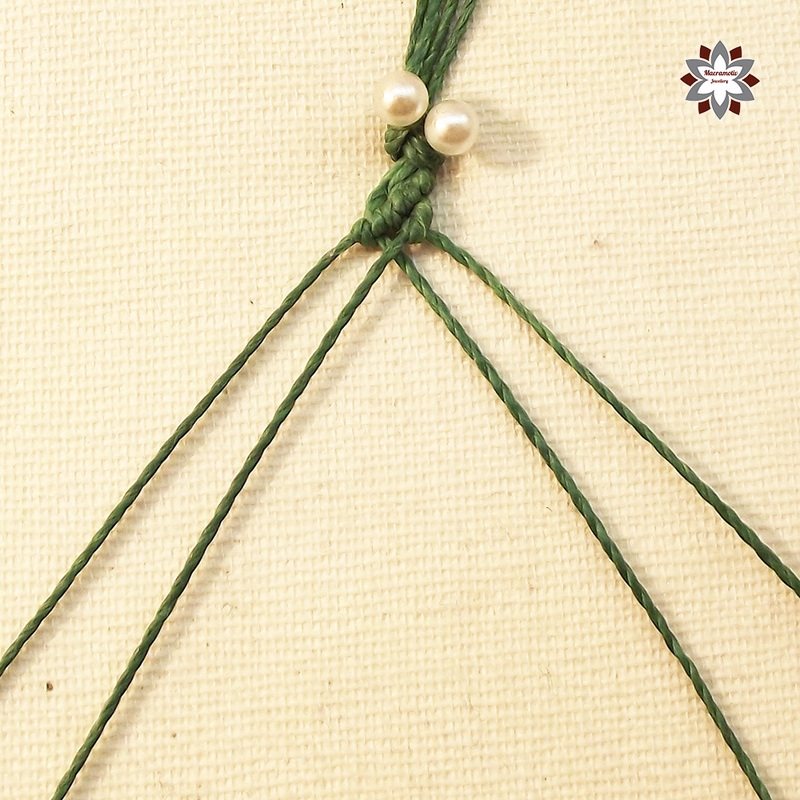 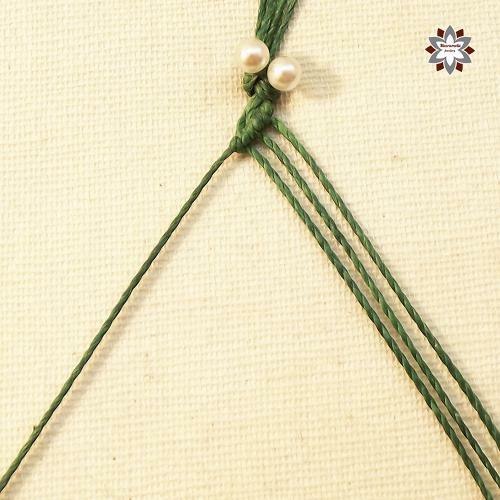 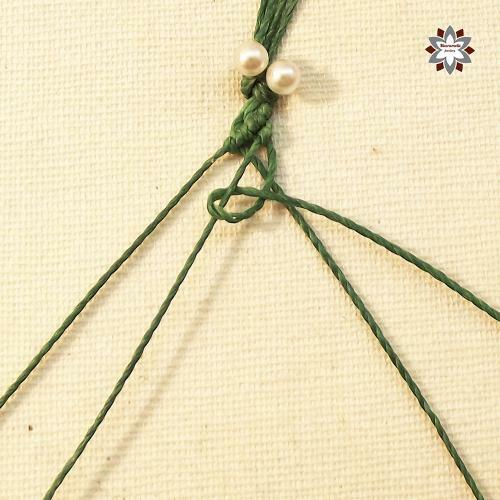 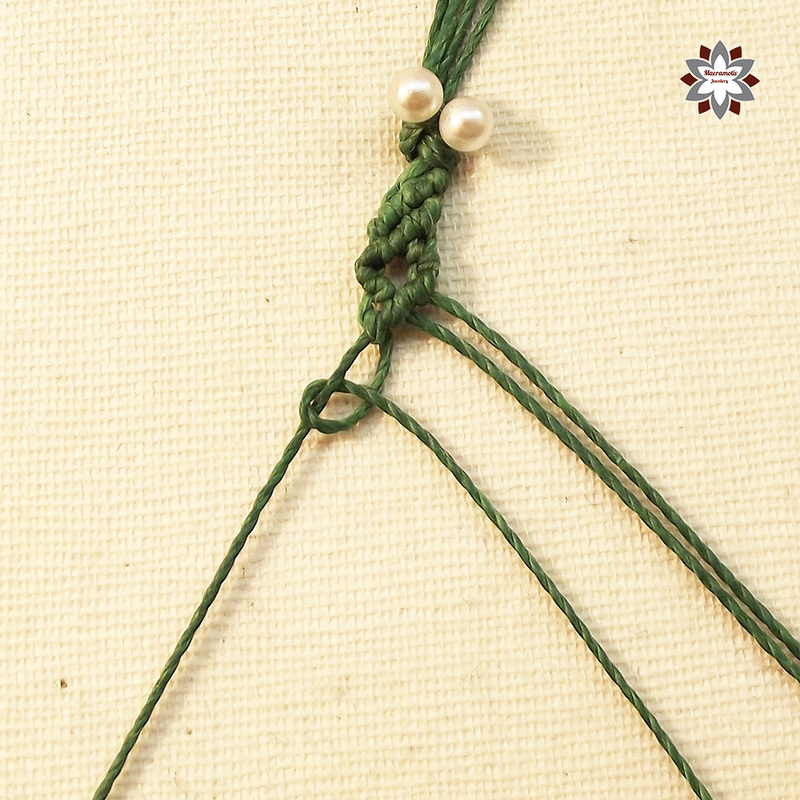 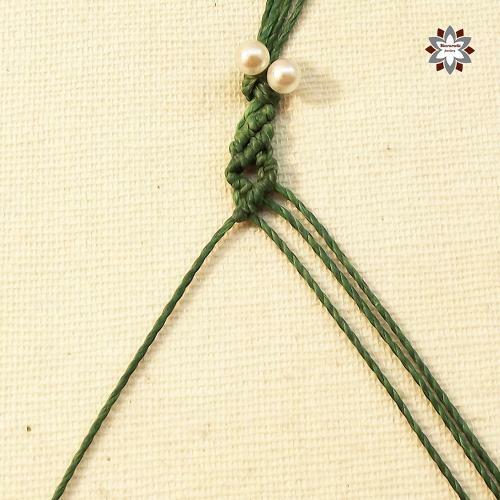 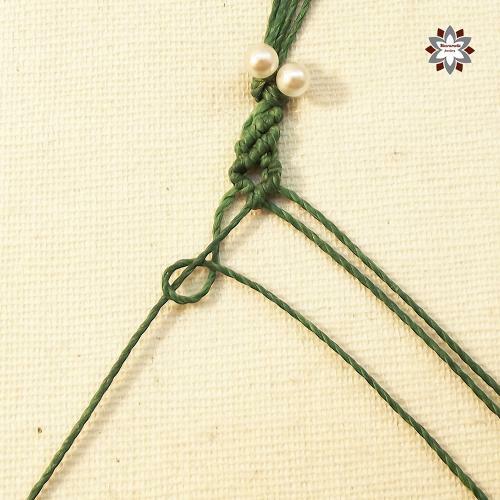 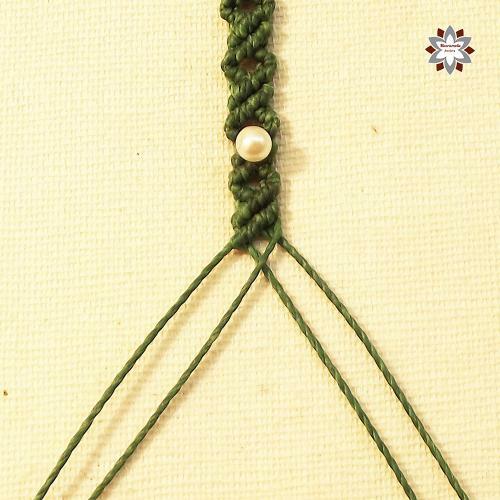 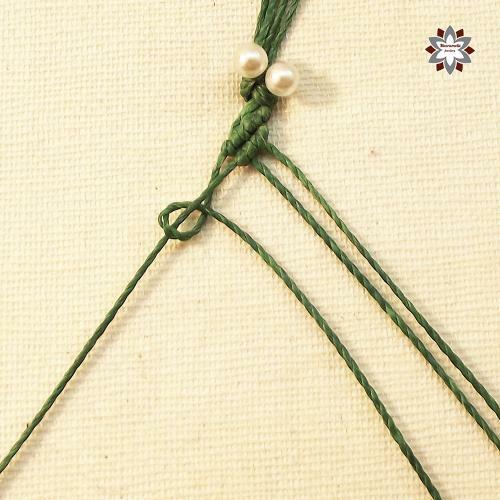 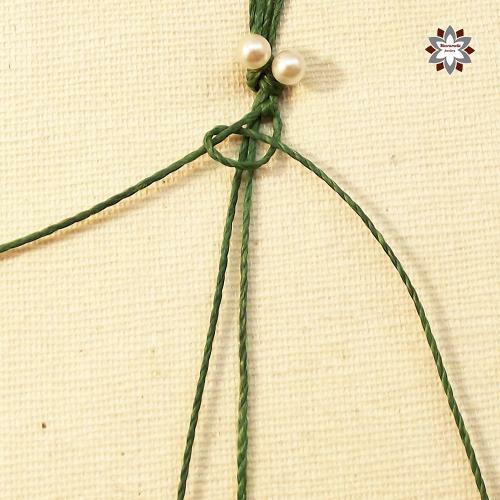 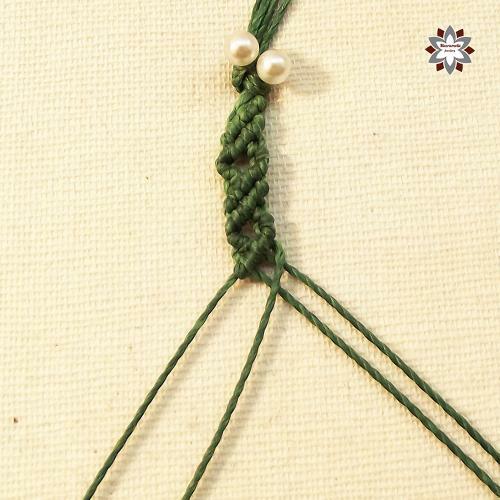 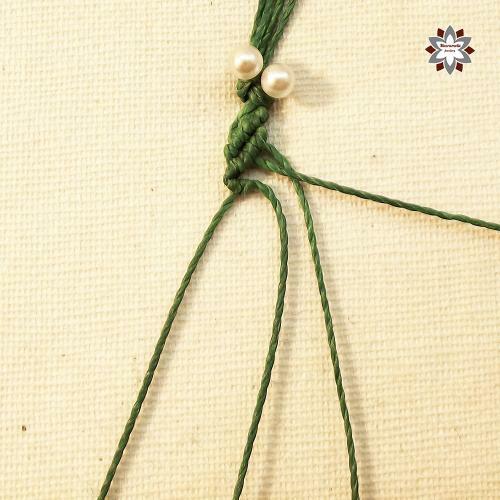 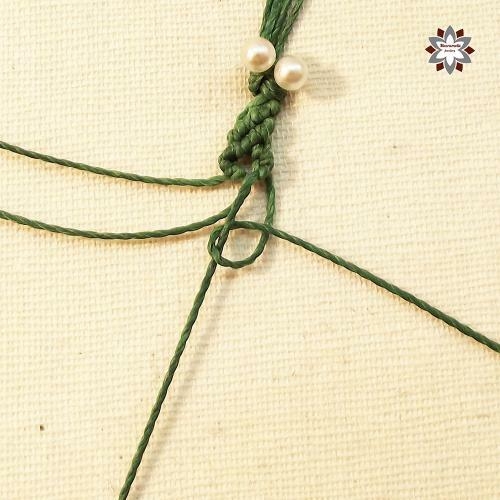 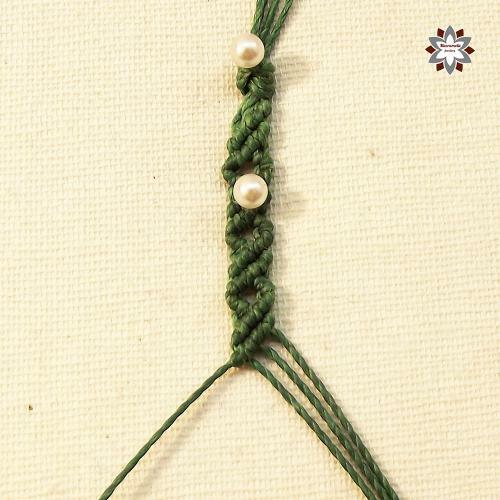 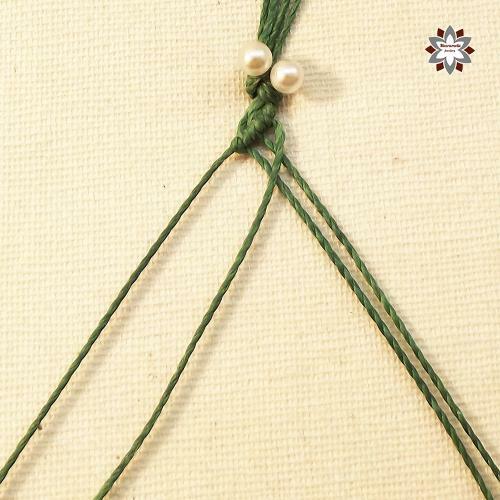 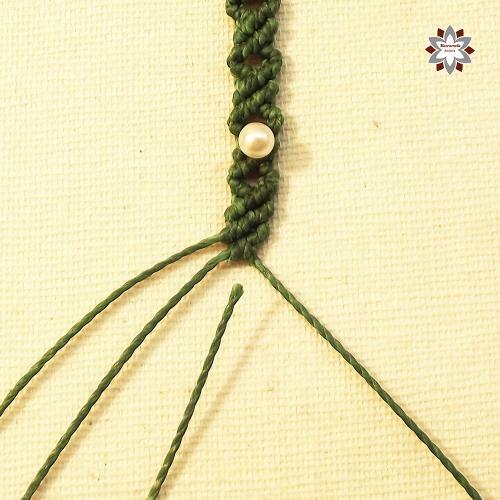 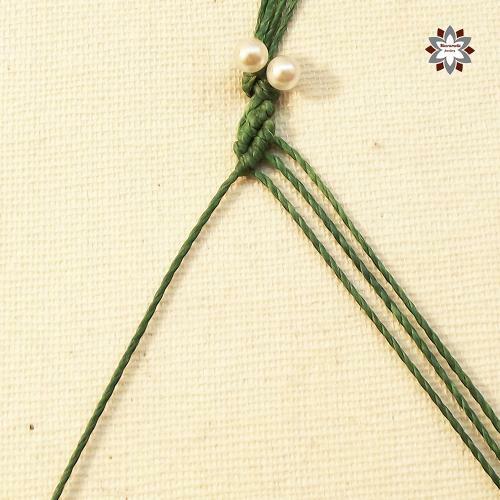 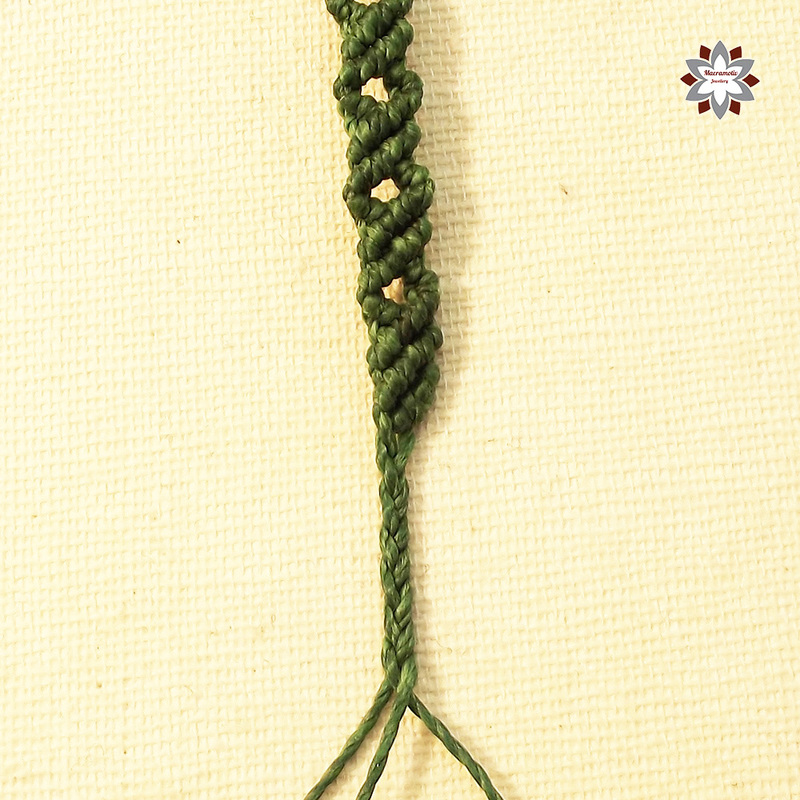 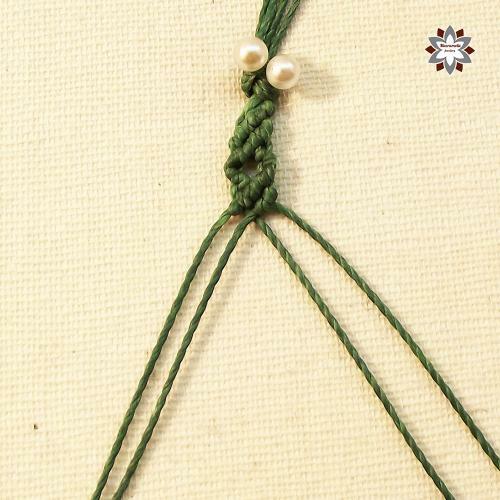 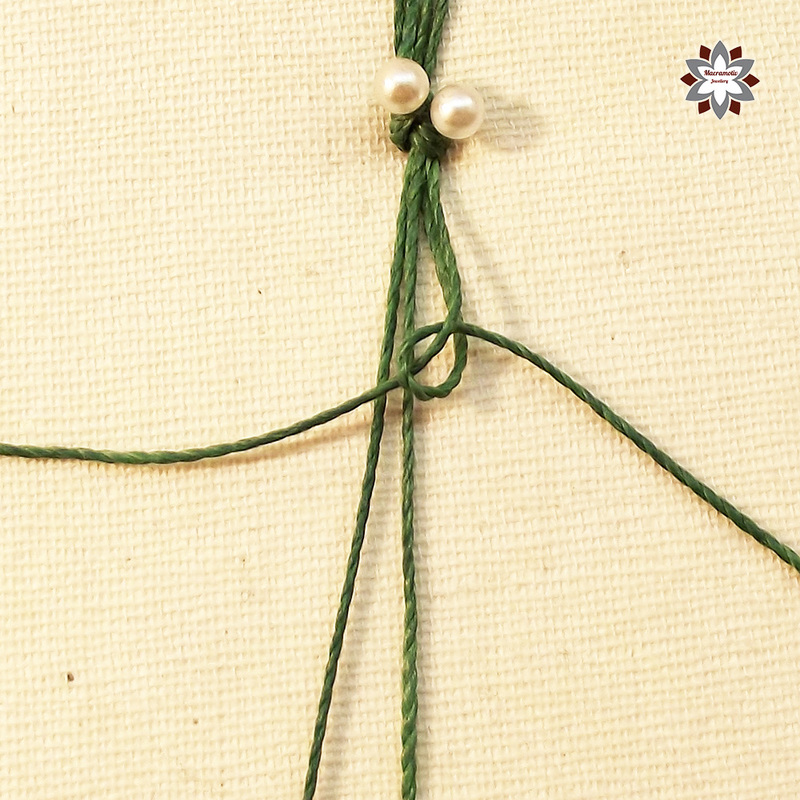 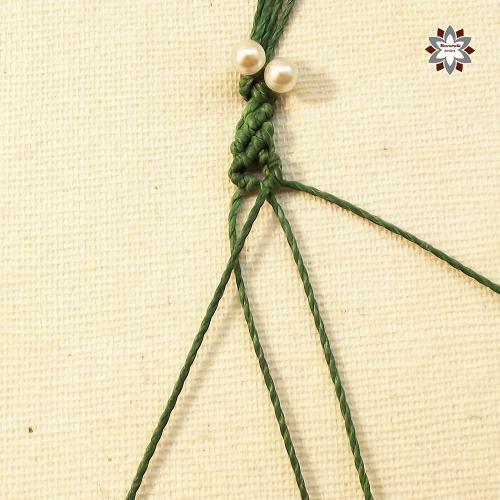 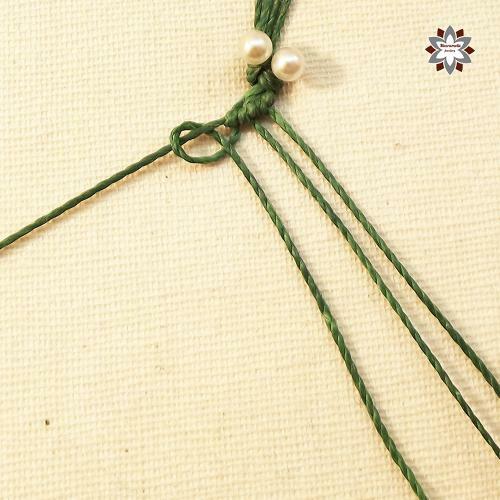 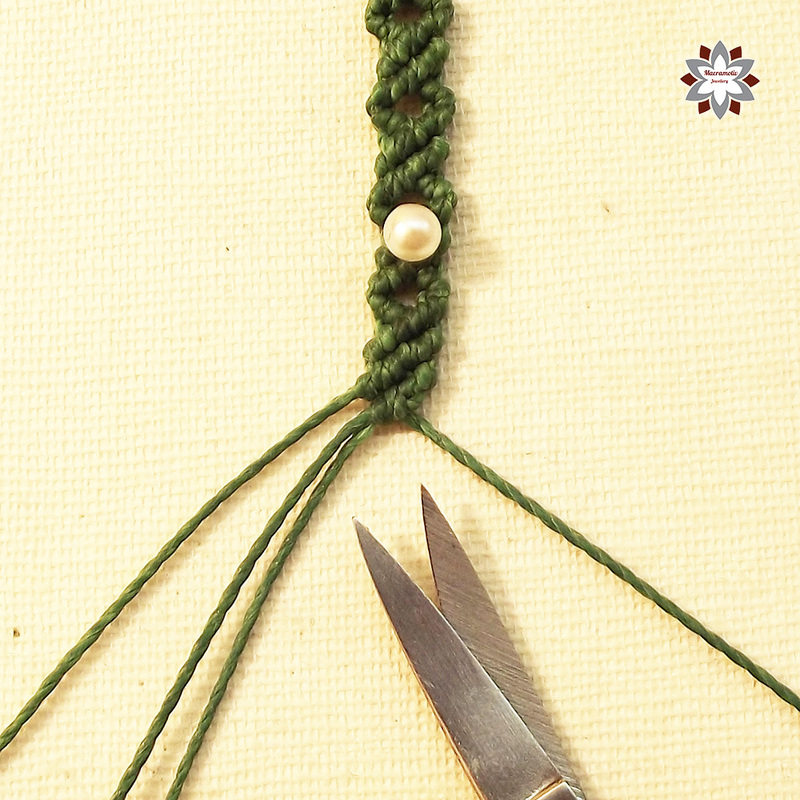 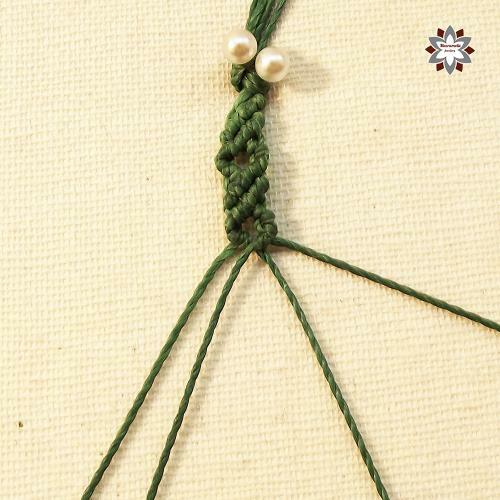 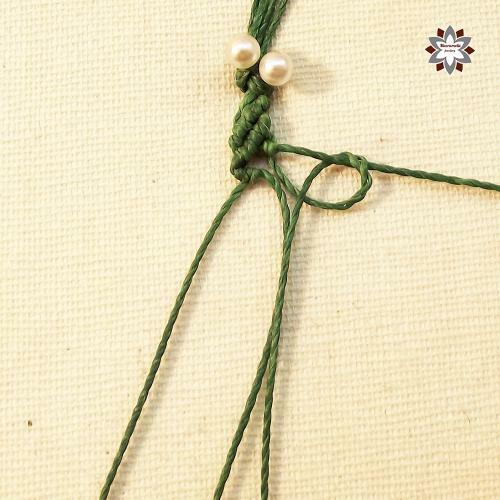 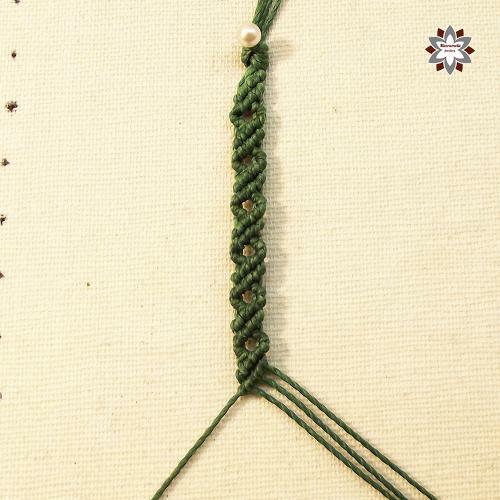 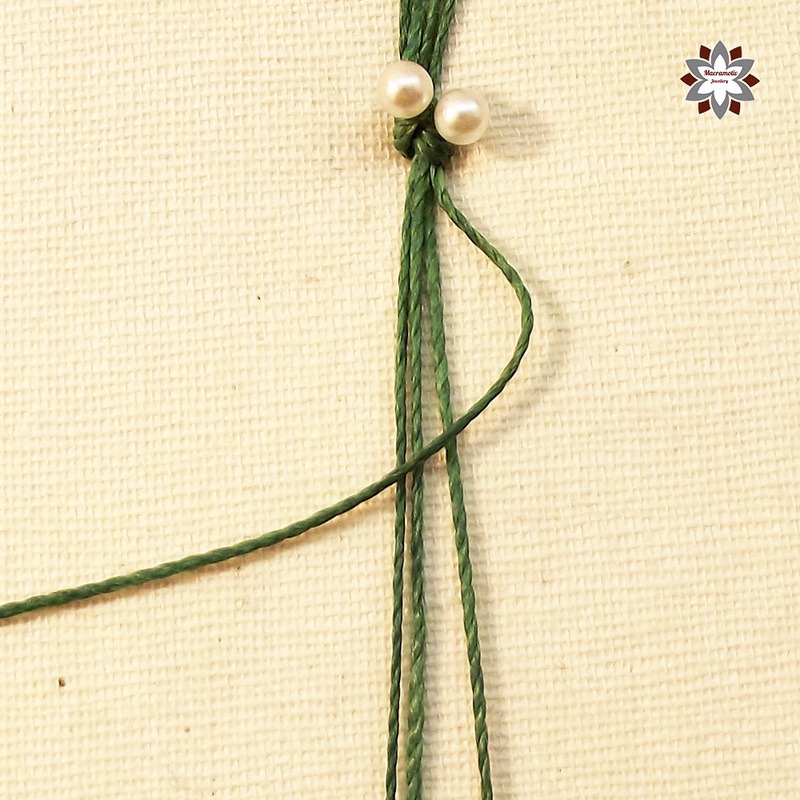 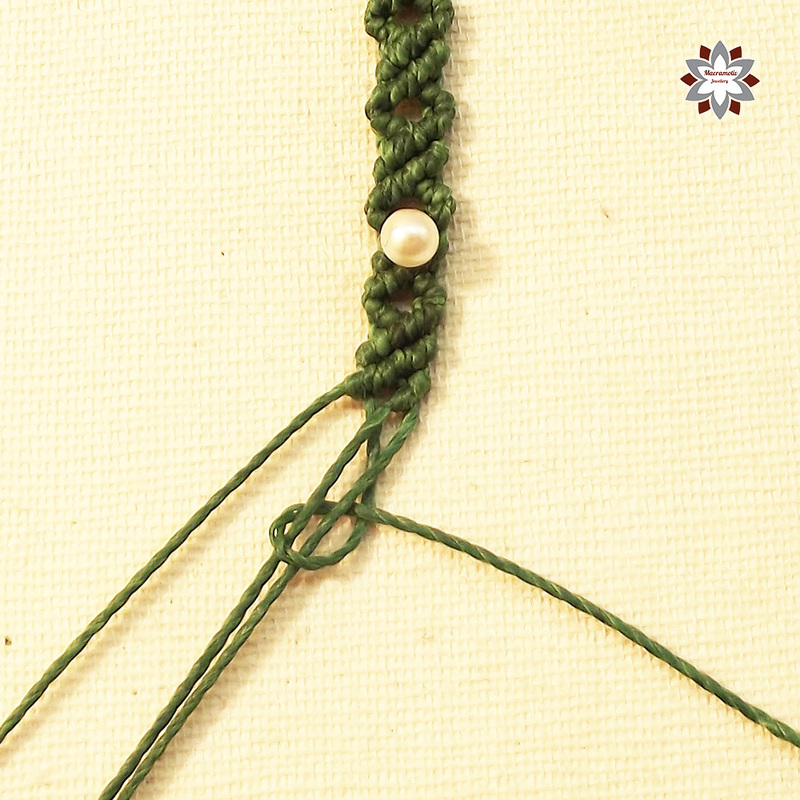 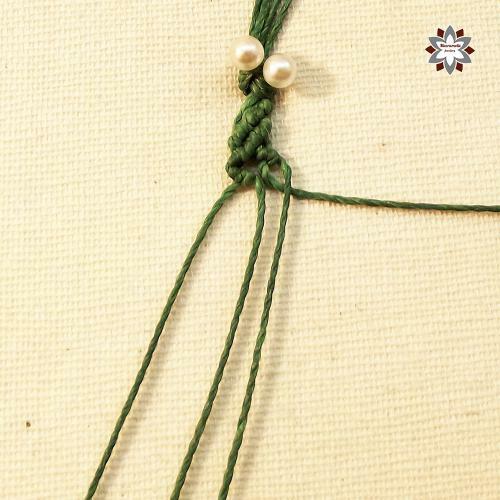 Here is an easy macrame tutorial for practicing tiny corners. 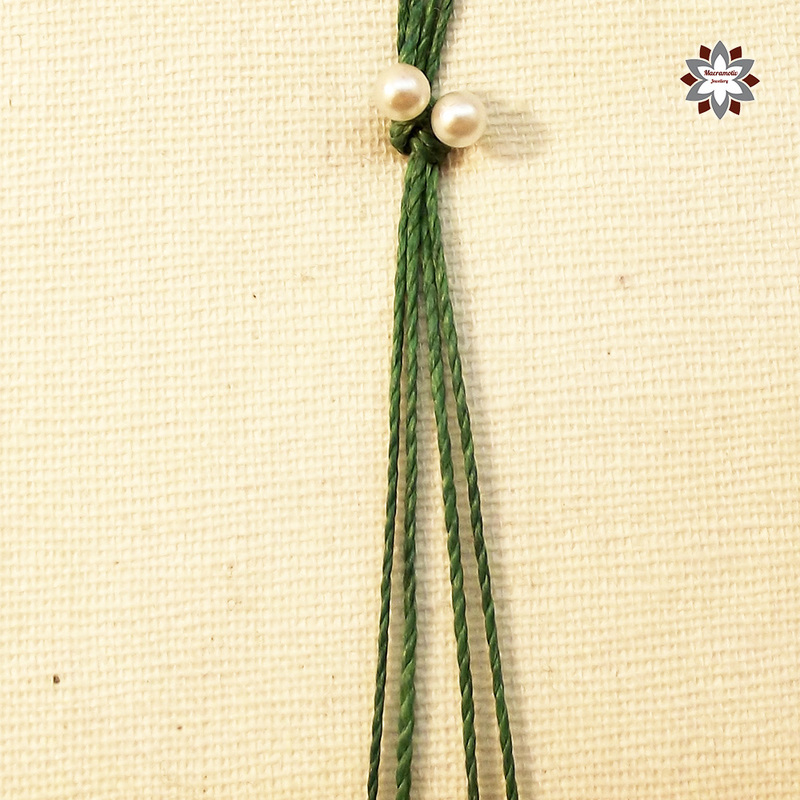 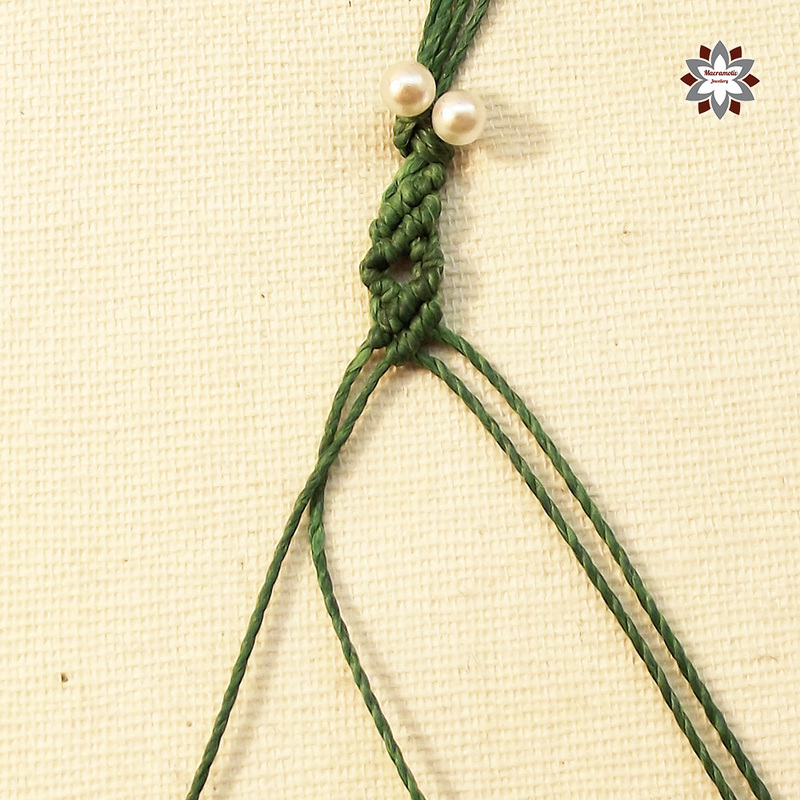 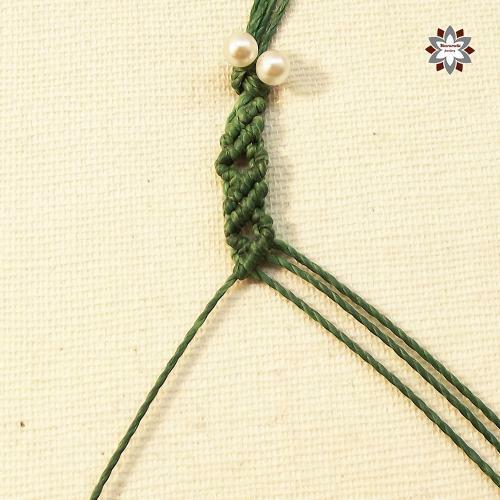 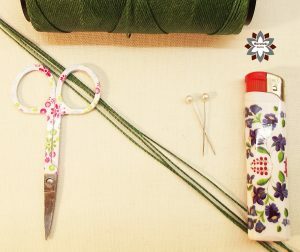 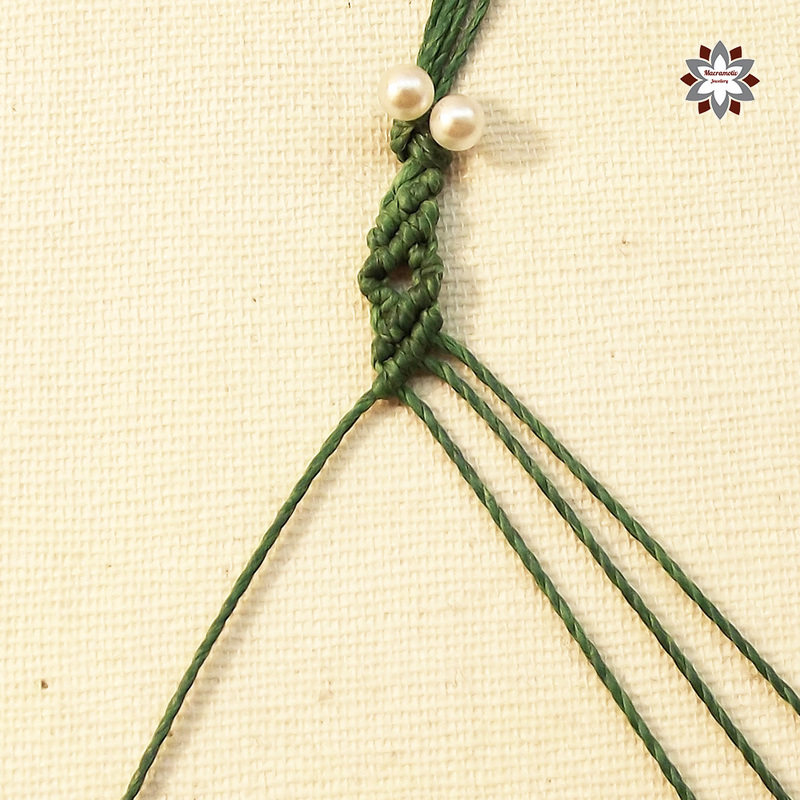 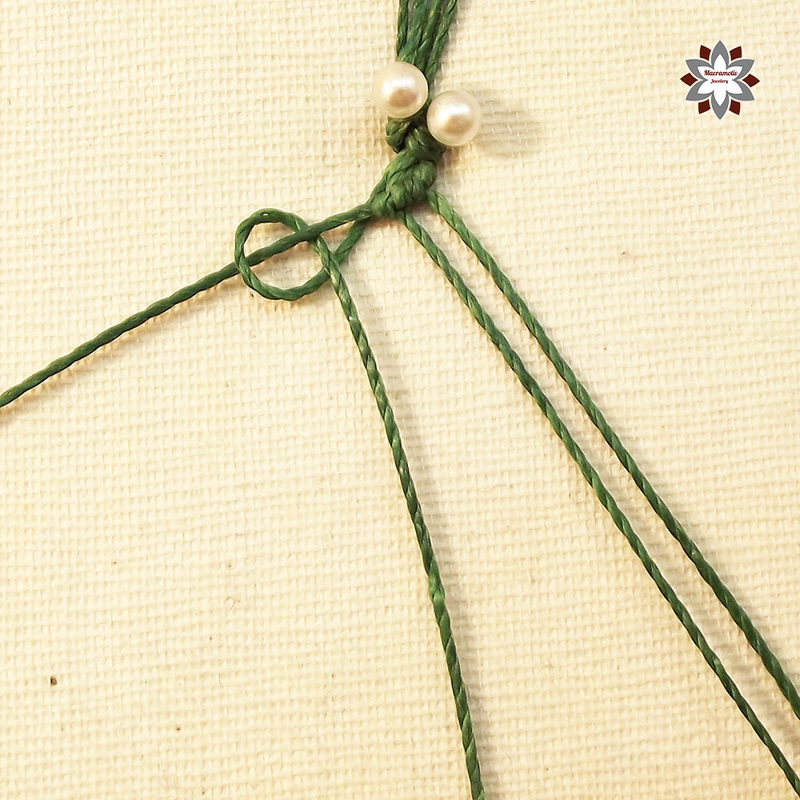 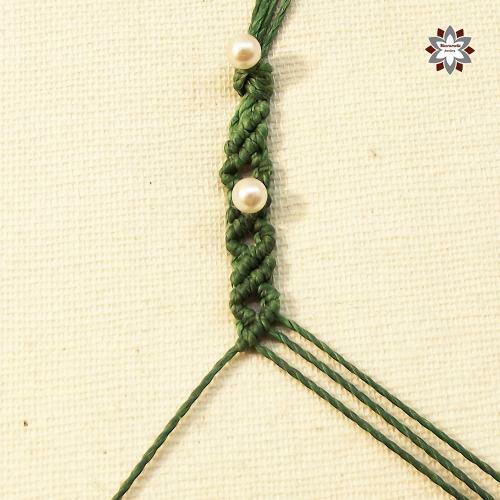 This pattern is unisex, and later it can be used for making necklace or can be the part of a more complex knotted bracelet. 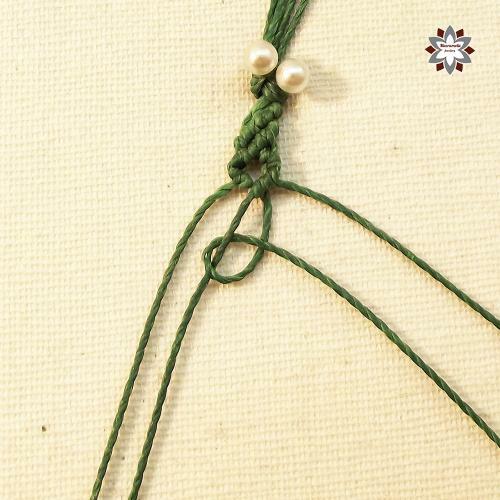 Both ending is the same. 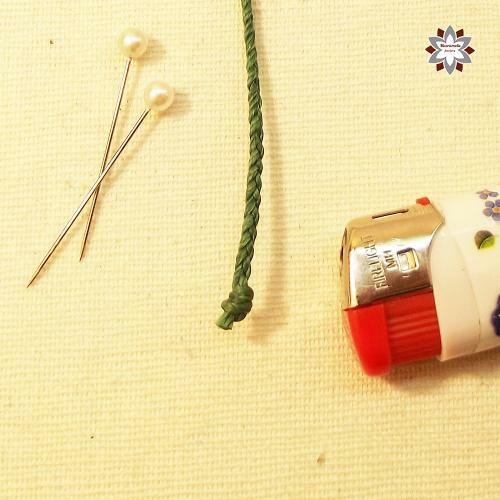 I used Settanyl waxed polyester cord for this project. 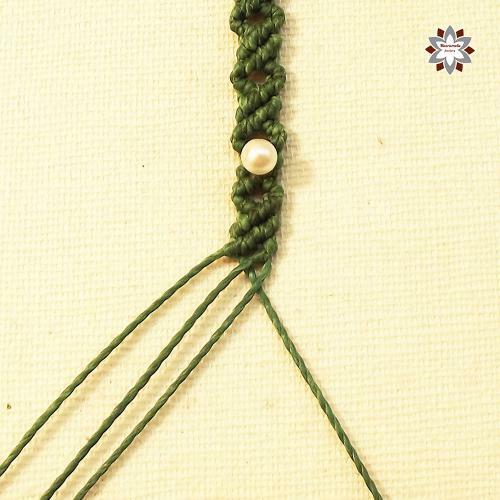 If you have questions about cords or the macrame board I use, please visit FAQ first. 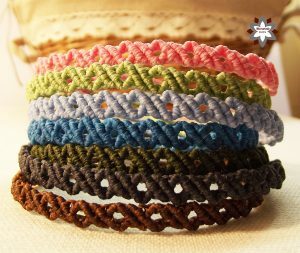 4 x 100cm waxed polyester cord (1mm).